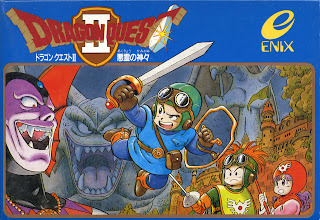 A number of weeks ago, I played through Dragon Warrior on the Dragon Warrior I & II compilation for GameBoy Color. Having so thoroughly enjoyed the first game in one of my all-time favorite video game franchises, I quickly flipped the cartridge back on and started Dragon Warrior II. But in doing so I felt a moment’s hesitation as though hearing the echo of a similar enthusiasm from my distant past. A long time ago, I wrote about an incident from even longer ago when I had just completed the last dungeon in Final Fantasy I from the Final Fantasy I & II: Dawn of Souls collection for GameBoy Advance, after which I immediately started playing Final Fantasy II. As you can read here, not giving myself a break before going from one game to the next turned out to be a mistake. For all practical purposes, to have repeated this pattern with two games that would seem so closely related (siblings by marriage) should have yielded an equally unenjoyable result. While the first two Final Fantasy games are both interesting in their own way, I would never suggest that they be considered as a pair. Aside from some similar enemies, the mechanics of the games are far too different from one another to be consumed in this way. Incidentally, this is how the remakes have often been packaged. The individual games in Dragon Warrior I & II, on the other hand, justify their connection to one another as the games essentially tell different chapters of the same grand narrative. Playing them together makes for a very consistent experience. As I mentioned briefly in my Dragon Warrior I anecdote, the first three games in the series are related to one another. More specifically, Dragon Warrior II continues the story of the descendants of Loto. At the game’s start, the player learns that after the events of the first game, the hero (I refer to him as Adam) left the kingdom of Tentagel and founded three kingdoms of his own. Each of these kingdoms came to be led by his offspring, and 100 years later a new evil threatens the world. And you begin Dragon Warrior II as the Prince of Lorasia (I named him after his great, great, great grandfather… Adam). Dragon Warrior II begins much in the same way that the first game began: a singular hero embarks on a quest against a great evil with very little guidance. Though it isn’t long before the hero’s cousins are pulled into the fray, and you take on the rest of the journey as a three-person party. And where the Dragon Warrior I portion of the remake benefits from being concise, the simplistic charm of the first game can begin to wear out during the second game, which is significantly larger than the first. Because of the inclusion of a few more modern features, Dragon Warrior II begs comparisons to contemporary JRPGs that are quite unfair. One of the most significant for me was the game’s apparent lack of direction. Most of the time, I had no idea where to go to find the magical collectible maguffins necessary to unlock the path to the final area of the game, and I was quickly reduced to relying on a guide to enjoy the game. In the end, though, I did quite enjoy Dragon Warrior II. 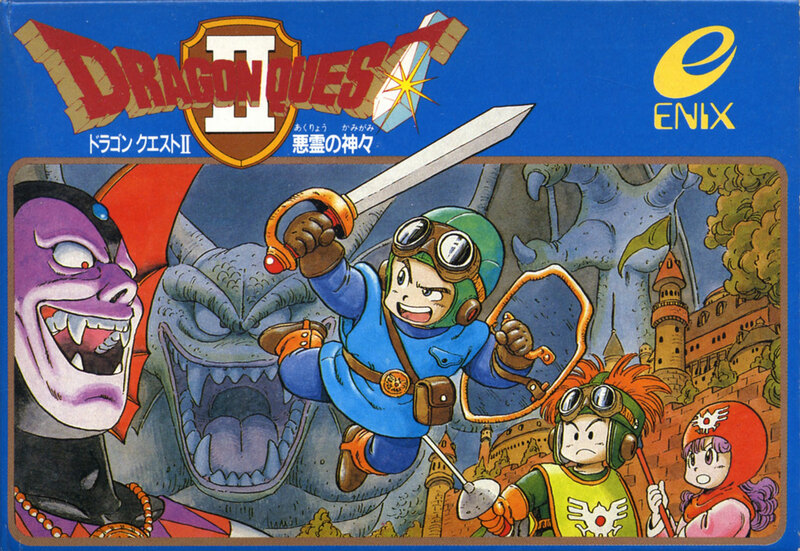 It is a perfectly decent continuation of the legacy of the legendary warrior Loto as well as a meaningful step forward mechanically for the Dragon Quest franchise. I can do naught but to give it a sturdy recommendation for anyone who appreciates a slightly dated—yet, still consequential—entry in a one of the most important JRPG franchises.